If you are looking for a HDTV with the best picture quality for watching movies, sports, or playing video games than go with a plasma television. They are often thought of as older than LCD-LED displays, but plasma technology has grown and has a few distinct advantages over LED models. First, it has deeper blacks and thus higher contrast ratios which produce a better image. They also have a much faster pixel-response time which eliminates motion blur during fast moving scenes. Lastly is the wide viewing angle. Unlike LCDs, even viewers off to the side watching a plasma tv see a clear, undistorted image. The perceived problem of ‘burn in’ is virtually nonexistent anymore, however there are some disadvantages of plasma tvs. The main problem is brightness. The images they produce are darker than LCD displays and will not work as well in a bright setting. They also use more energy, typically between $30-$50 a year, than newer LED models. One other issue is the options in different sizes. While there are many choices for plasma televisions in larger sizes of 50-inch and bigger, there are not that many models to choose from below that size. Below is our list of the top rated plasma tv reviews broken up into three different groups based on size. We tried to focus on units that cost less than $2000 although some may cost more. Visit the Official Site for the Panasonic Viera TC-P65ST50. Visit the Official Site for the Panasonic Viera TC-P60ST50. Visit the Official Site for the Panasonic Viera TC-P55VT50. Visit the Official Site for the Panasonic Viera TC-P60GT50. Visit the Official Site for the Samsung PN60E6500. Visit the Official Site for the Samsung PN60E550. Visit the Official Site for the Samsung PN64E550. Visit the Official Site for the Samsung PN60E8000. Visit the Official Site for the LG 60PM6700. Visit the Official Site for the LG 60PA6500. Visit the Official Site for the Panasonic Viera TC-P50ST50. Visit the Official Site for the Samsung PN51E7000. Visit the Official Site for the Samsung PN51E6500. Visit the Official Site for the Samsung PN51E550. Visit the Official Site for the Samsung PN43E450. Visit the Official Site for the Samsung PN51E530. Visit the Official Site for the LG 42PA4500. 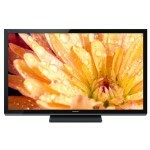 Visit the Official Site for the Panasonic Viera TC-P42X5. If you need more information or purchasing advice see our television buying guide. You might also be interested in our reviews of the Best Overall TVs, LED TVs, or 3D TVs.